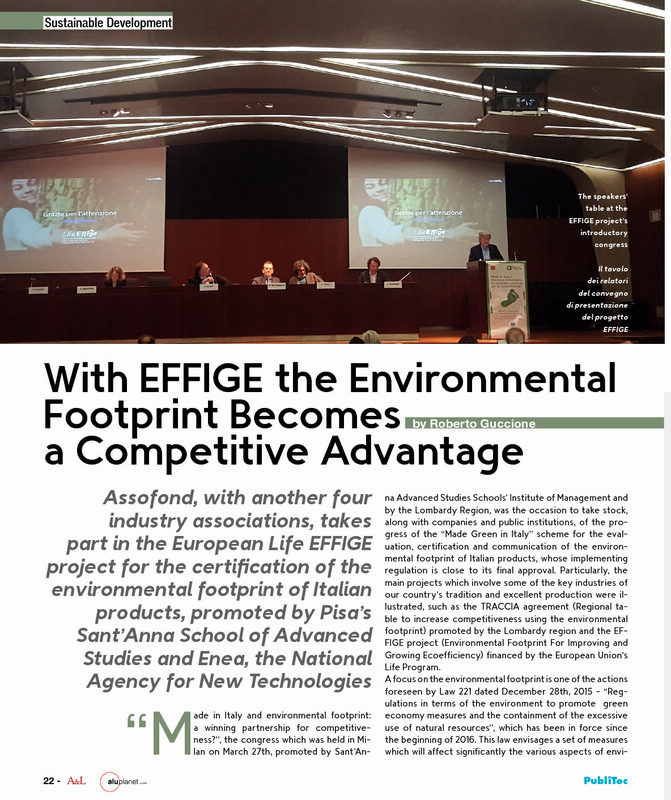 Assofond, with another four industry associations, takes part in the European Life EFFIGE project for the certification of the environmental footprint of Italian products, promoted by Pisa’s Sant’Anna School of Advanced Studies and Enea, the National Agency for New Technologies. Made in Italy and environmental footprint: a winning partnership for competitiveness?”, the congress which was held in Milan on March 27th, promoted by Sant’Anna Advanced Studies Schools’ Institute of Management and by the Lombardy Region, was the occasion to take stock, along with companies and public institutions, of the progress of the “Made Green in Italy” scheme for the evaluation, certification and communication of the environmental footprint of Italian products, whose implementing regulation is close to its final approval. 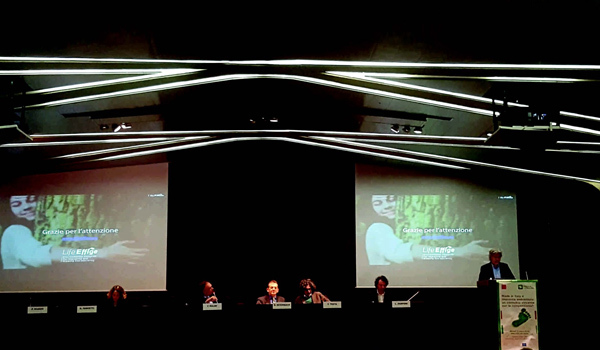 Particularly, the main projects which involve some of the key industries of our country’s tradition and excellent production were illustrated, such as the TRACCIA agreement (Regional table to increase competitiveness using the environmental footprint) promoted by the Lombardy region and the EFFIGE project (Environmental Footprint For Improving and Growing Ecoefficiency) financed by the European Union’s Life Program. A focus on the environmental footprint is one of the actions foreseen by Law 221 dated December 28th, 2015 – “Regulations in terms of the environment to promote green economy measures and the containment of the excessive use of natural resources”, which has been in force since the beginning of 2016. This law envisages a set of measures which will affect significantly the various aspects of environmental norms and green economy, in the direction of greater simplification and promotion of reuse of resources and environmental sustainability, foreseeing incentives to reward the virtuous behaviours of consumers, manufacturers and institutions. Among various measures, Law 221 foresees a measure aimed at starting off a virtuous circle between the competitiveness of Italian productive systems and environmental sustainability, capable of providing companies a formidable support to use as leverage to improve the image and appeal of the products on the market. 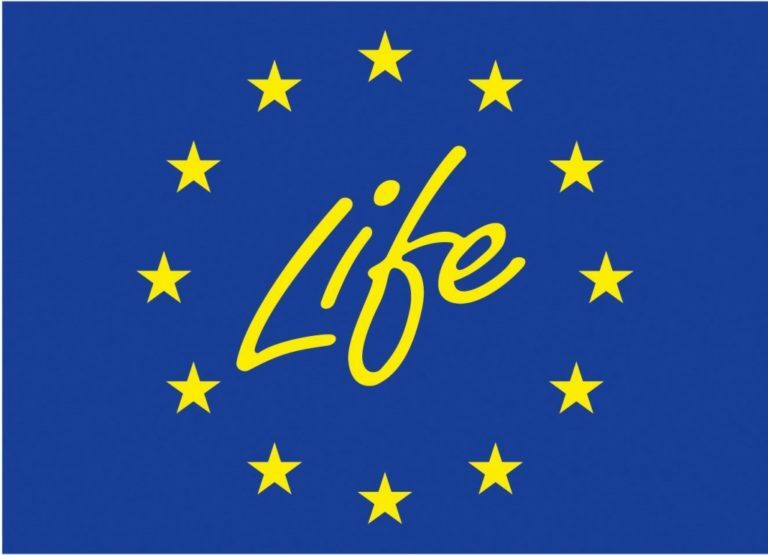 In this respect Italy has the opportunity of being the first among the EU countries to apply the innovative PEF (Product Environmental Footprint) method, suggested by the European Commission to measure and communicate to the market the environmental impact of products so as to favour, in consumers’ opinion, the “greener” ones. The PEF method is based on the well-known LCA (Life Cycle Assessment) approach, a tool which is still not widely used in small and medium enterprises, but which is arousing increasing interest especially on the part of companies producing goods Made in Italy.